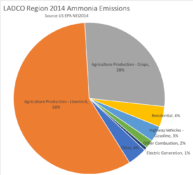 The Great Lakes have a dominant influence on the climate, weather, and air quality in the LADCO region. 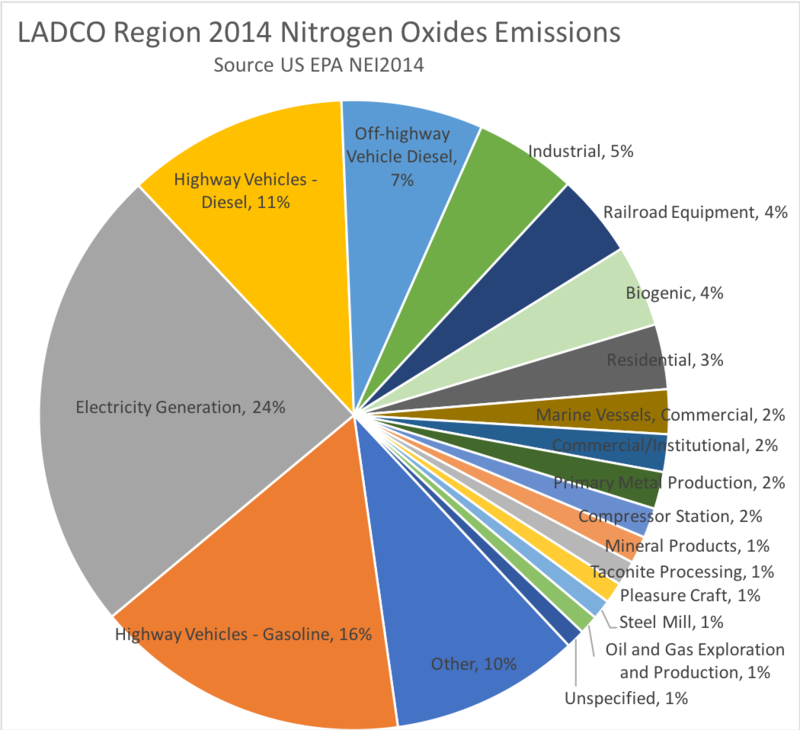 The air quality issues in the LADCO region result from the interaction between man-made and natural emissions sources; local, regional, and transported pollution; and the regional climate and weather (meteorology). 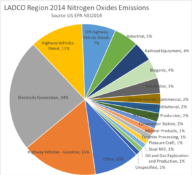 Click the pollutants below to learn more about the major air quality issues in our region. 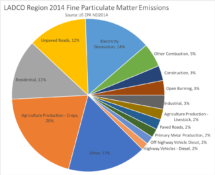 Particulate matter (PM) pollution happens during all seasons and throughout the region. PM is directly emitted from combustion sources and as dust; and is formed through secondary reactions of by-products from combustion, industry, agriculture, and natural sources. Cold-weather chemistry and fuel use (residential wood burning) produce the highest observed PM concentrations in our urban areas during the winter months. 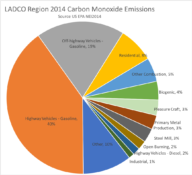 Carbon monoxide (CO), nitrogen oxides (NOx), volatile organic compounds (VOCs), sulfur dioxide (SO2), ammonia (NH3), particulate matter with a diameter < 10 um (PM10), particulate matter with a diameter less then 2.5 um (PM2.5), and lead (Pb) are common air pollutants that are harmful to human and ecological health. 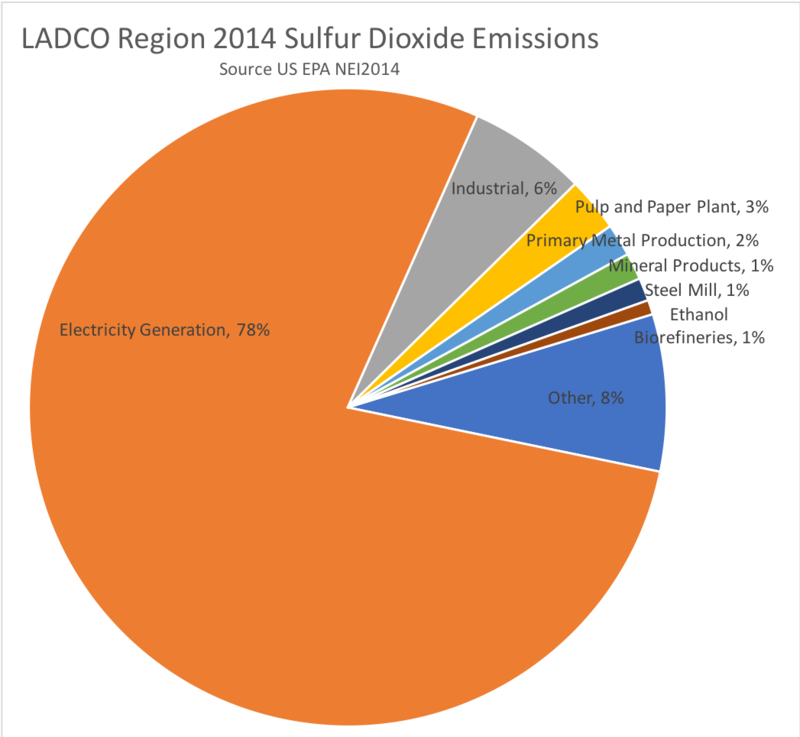 They are primary pollutants because they are directly emitted from sources. 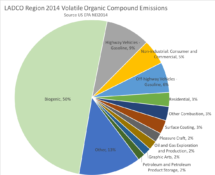 These pollutants are also precursors to harmful secondary pollutants, such as ozone which is formed through reactions of NOx and VOCs. 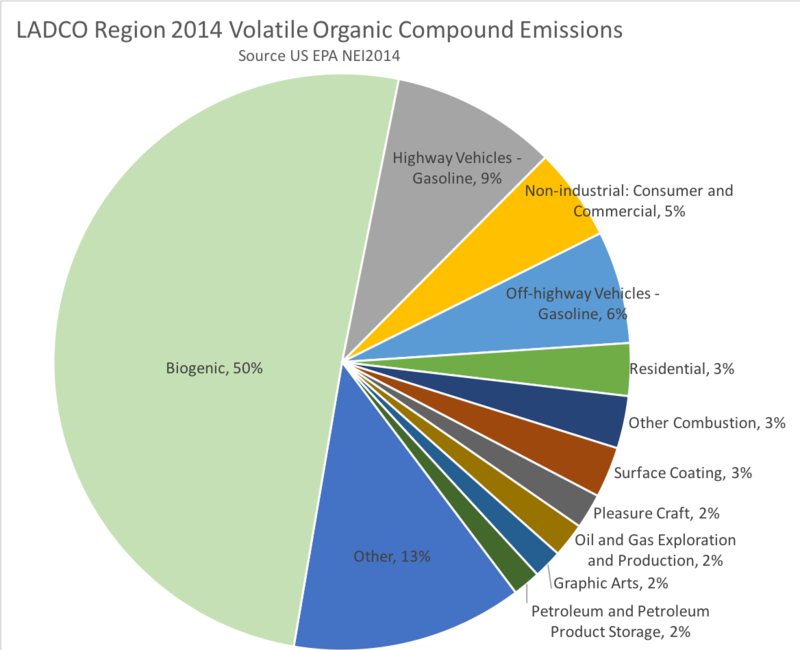 See the emissions section below to learn about the sources of primary pollutants in our region. Wildfire smoke from areas as distant as California and Western Canada impacts our region in the summer and fall. Climate change, poor forest resources management, and growing encroachment of humans on forest ecosystems are attributed to more frequent and intense wildfires. Smoke from fires contains high concentrations of particulate matter, air toxics, and ozone precursors. Wildfire smoke also contributes to visibility impairment. 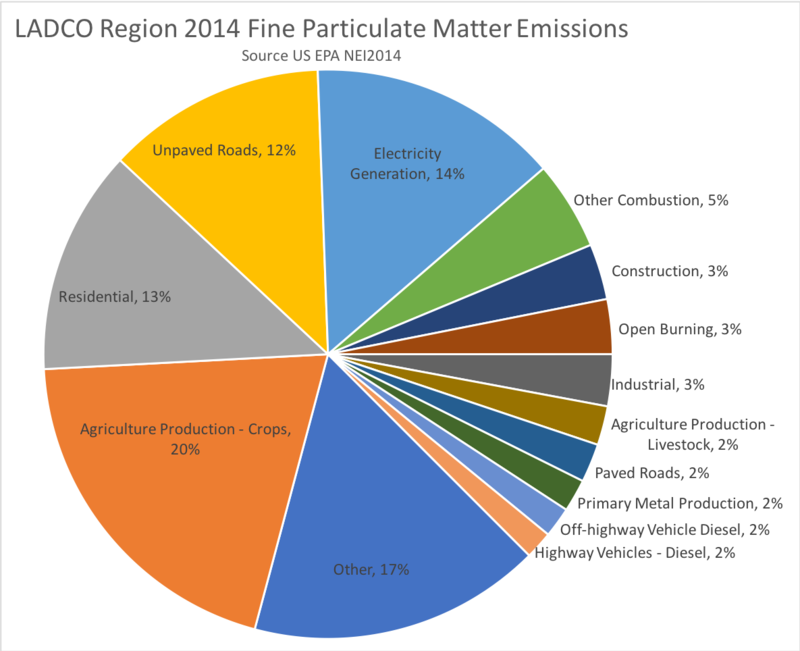 Natural sources of air pollution in the region include wildfires (NOx, CO, CO2, and particles), vegetation (VOC), and soils (NO). 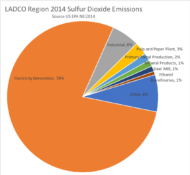 Click the thumbnails below to see the major sources that emit air pollution in the LADCO region. Use the menus on the left to learn more about the different air quality issues that we face in the LADCO region.